Wufoo is a popular online form builder with hundreds of customizable templates, many of which are mobile responsive. This integration is provided by an independent company, ITMOOTI. If you receive the API Application form, fill it out and submit it. Most requests are granted immediately and you won't recieve the form. When your API Key request has been granted click the New API Key button again. Name the API Key. Select the Contact Owner and check off all Permissions. Click Save. ITMOOTI provides a 30 day free trial for all applications. Click the Launch button for the application you want to integrate. 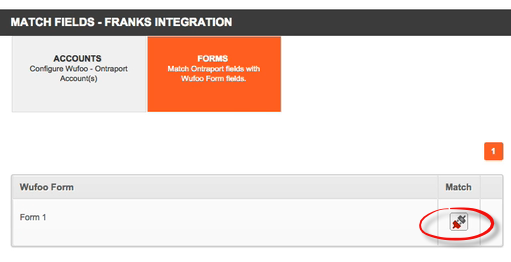 Create a form in Wufoo to integrate if you haven't already. In the Wufoo Form Manager click the Share button for the form. Click the API Information button at the top right in Wufoo. Copy the API Key: to the clipboard. Back in the ITMOOTI configuration, type in a Credential Account Name, the Wufoo Subdomain (from your Wufoo account) and the API Key copied from the form you wish to integrate. For the Handshake Key field insert the Wufoo Subdomain again. Click Save. 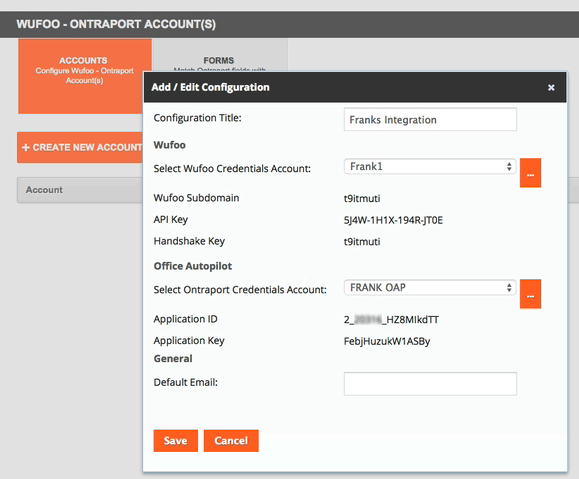 Create your ONTRAPORT account name and paste the Application ID and API Key from ONTRAPORT into the appropriate sections. Enter your default email (notification email) in the Default Email section and click Save. 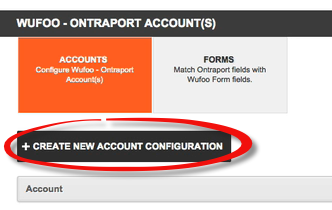 At the integration listing, click Select Account to map the Wufoo form fields to ONTRAPORT Contact record fields. Click the Match button for the Wufoo form to map. 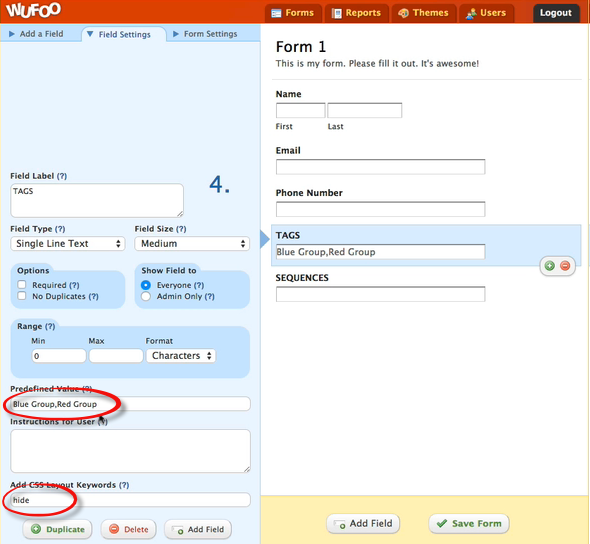 The Configure Form screen appears, showing the Wufoo fields on the left and the ONTRAPORT fields on the right. Click the Contact Information section in the ONTRAPORT column to expose the Contact fields. Drag and drop the ONTRAPORT fields into the center column to match them with the Wufoo form fields. Wufoo offers some advanced features, including the ability to add Tags to new Contacts and subscribe them to ONTRAPORT Sequences. 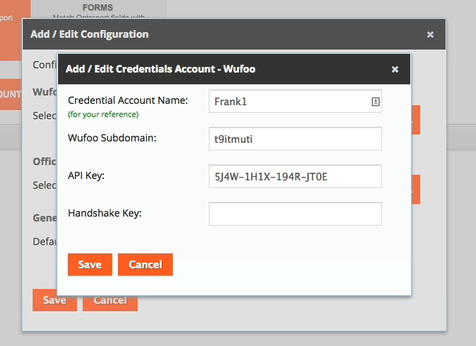 Follow these steps when creating your Wufoo form to add Tags or Sequences on submission. The Wufoo form can create new Tags. They do not have to be in ONTRAPORT already. Add a Single Line Text field to your form. In the Field Settings tab type the word "hide" into the Add CSS Layout Keywords box at the bottom. Type the Tags in the Predefined Value box separated by semi-colons. 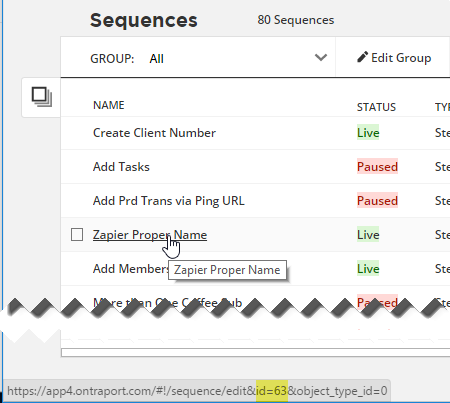 Obtain the Sequence ID number(s) in ONTRAPORT by hovering over the Sequence name and noting the number in the bottom left of the screen. 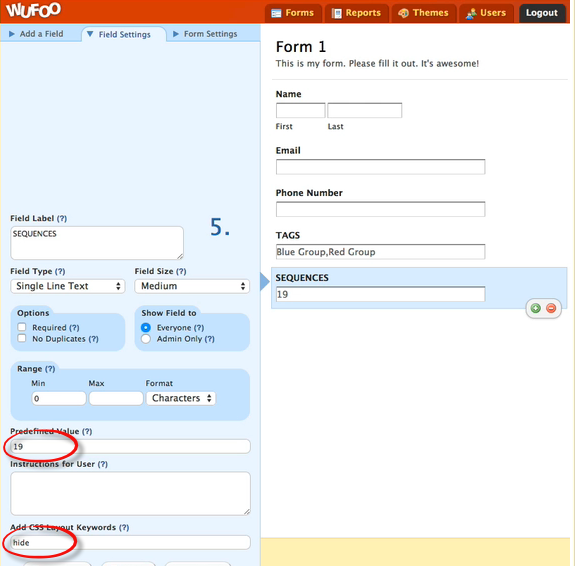 In Wufoo, add a Single Line Text field to your form. Type the Sequence ID numbers, separated by semi-colons, into the Predefined Value box and click Save. Remember to map the Tags and Sequences fields as done in the step above. Q. Can Wufoo or ITMOOTI see my personal information in ONTRAPORT? Q. Can I use the advanced features of Wufoo, such as file uploads, etc. ?